First, gather your ingredients. I used 2 large (28oz) cans tomato sauce, 2/3 c. chili powder, 2 lb. shredded cheese, and approximately 2 lb. corn tortillas. In a large mixing bowl, combine tomato sauce and chili powder to make enchilada sauce. Spray crock pot with cooking oil, then spread a thin layer of enchilada sauce on the bottom. Top with a layer of tortillas. Top with another layer of tortillas. *Tip: For more even layers, break the tortillas in half and line the edges of the crock pot, leaving a space for one full tortilla in the center. This way, you won't have a bulge in the center of your layer, where the tortillas overlap repeatedly. Top with a thin layer of shredded cheese and cook on low for 4-6 hours. serve with sour cream (or nonfat, plain Greek yogurt). This week, instead of my usual Crock Pot Gourmet for the Frantic Chef recipe, I'm giving you a recipe for a friend who recently discovered that she has a gluten allergy. 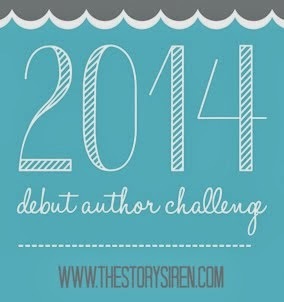 She lamented the loss of favorites like cake, and you know I can never pass up a challenge! In a large mixing bowl, combine quinoa/rice flour, cornstarch, coconut milk powder, sugar, baking soda and salt. Stir in olive oil, vanilla extract, apple cider vinegar and water, until all of the dry ingredients are incorporated. Pour into a greased 7x9-inch baking pan. Bake at 350 degrees F for 20-25 minutes, until a toothpick inserted in the center comes out clean. Guys, I am SO excited!!!! Like, dancing around the house, making up silly songs and laughing at absolutely nothing excited!!! It came from a one-page "fan fiction" my little sister wrote after she read the manuscript for my first (as yet unpublished) novel, KISSING FROGS. * Jarod could probably be played by someone like Nick Jonas, but taller and with green eyes. * Daren Kagasoff or Shane Harper (except with blue eyes) would make a good Shane. 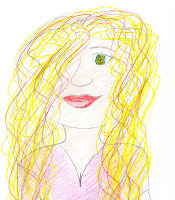 * Laina would probably have to be an unknown actress, because I couldn't find anyone who has the right look. 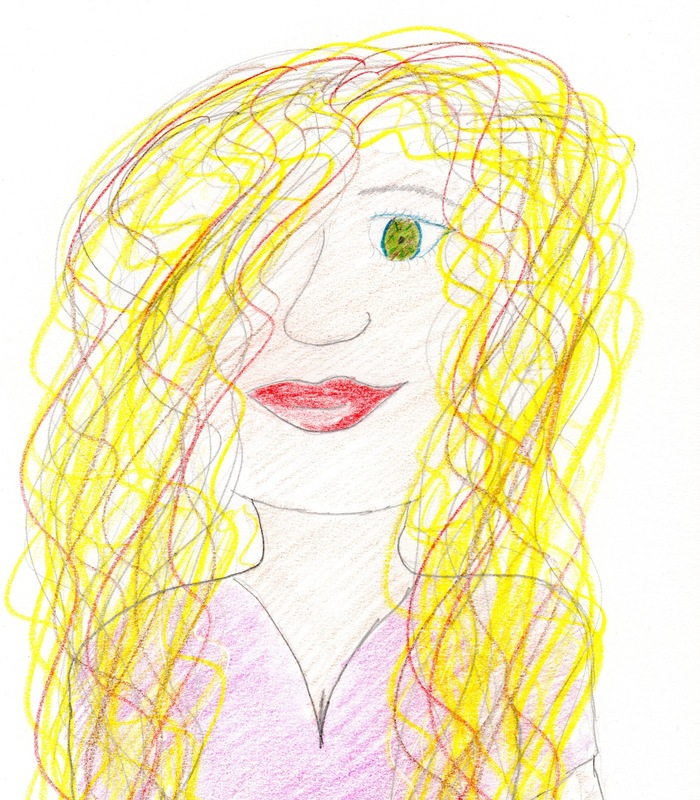 This is the picture I drew of Laina, when I was challenged to draw a picture of my main character (from KISSING FROGS, the other novel that 12 STEPS is based off of) - I'm not much of an artist! 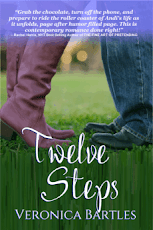 Andi knows she will never be as good as her perfect older sister, but with the help of her 12-step process (adopted from the 12-steps of AlaTeen), she may learn to accept life as a "Second Class Sibling." I'm hoping it will be represented by an agency, because I have no sense for business, and I need someone to walk me through that kind of stuff. I don't think I could self-publish successfully. How long did it take for you to write the first draft of your manuscript? I've gone through 3 full pencils so far on this draft. Hopefully, I only have one pencil left until I'm finished. I always hate doing this part, because I feel like such a wannabe when I start comparing my unpublished babies to *real* books by *real* authors... but if I have to pick, I think I'll have to go with something along the lines of GEEK CHARMING by Robin Palmer, JUST FLIRT by Laura Bowers or GEEK MAGNET by Kieran Scott. Many of you may have read my sister Alaina’s tale of her seriously confusing and somewhat enlightening (for her that is) senior year. However, although it depicts the truth to the best of her abilities, let me tell you know that my wonderful older sister is completely lost. Not in a bad way. She just refuses to see the bad in anyone and as her friend Jared likes to say she looks at the world through “rainbows and bubbles”. She is honestly one of the last true innocents in the world. Thus her reality is a bit skewed….especially when it comes to seeing herself. While she views the rest of the world as a wonder and a beauty she never seems to see that same beauty in herself. I guess part of that is because when all of her childhood friends in elementary school were taking the training wheels off their bikes, she was putting a training bra on. To say my sister developed early is an understatement. She had the figure that girls in Las Vegas pay a lot of money for at the age of 12. She was taller than most, even the boys, so of course before boys realized they liked her, they teased her. She developed an insecurity about her looks that caused her to hide behind her smarts and try to hide her overdeveloped chest with baggy T-shirts and sweaters. I had to lover her for her effort, but you just cannot hide an attribute like that and all she managed to do was hide the rest of her flattering figure. I used to joke with her that she took the stock pile and left me with nothing, because in her senior year and my junior year of high school she was testing the limits of her DD bra and I was trying my best with a push up and my barely there B cup. Obviously her large chest is not all that she is made of; just like my “sailors dream” (a sunken chest, this was the joke that was told to me my 8th grade year) was not all that I was made up of. I learned young that it was going to be tough to follow in her footsteps. Not just because of her looks, but her smarts and her drive to never disappoint anyone. I am no idiot, I manage A’s and B’s in school without trying and I know with some effort I could have had a 4.0GPA, but Laina had already done that. I could have been my parent’s perfect little princess, but Laina has that one down and I could have been that perfect student that the teachers all dream about having, but Laina had that base covered as well. So I fell into my role of being fun and carefree. I tried to be cute and bubbly and just be every ones friend. Plus I learned early that people love to confide, so I became a great listener and I can tell you right now that I could write novels on all the deepest dirt in our little Wyoming town. So now that you have a little bit of an understanding of how I became who I am now I hope you can see the truths as they really were and not as my silly older little sister saw them. 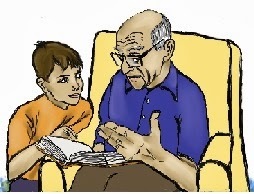 What else about your book might pique a reader's interest? Lots of kissing! And tons of laugh-out-loud moments! And sibling rivalry between two sisters who are also best friends. And now, I'm supposed to tag someone to join in the fun. Many of my writing friends have already done this, so if I tag you and you've already posted your answers, or if you don't feel like participating, just let me know and I'll take back the tag. (And if you want to participate, but I didn't tag you because I thought you already had, let me know and I'll add a tag!!) 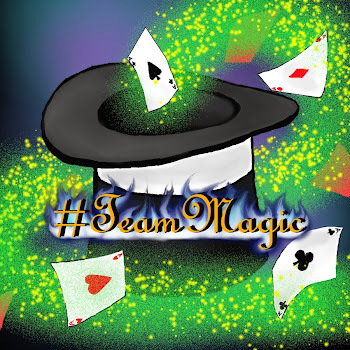 So.... Emily McKeon (@ERMcKeon on twitter), Gail Nall (@gailecn on twitter) and Wilfredo Rodriguez, do you want to play next?? 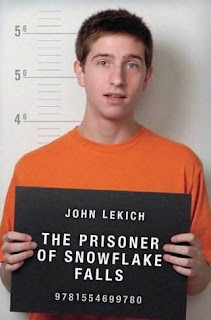 THE PRISONER OF SNOWFLAKE FALLS by John Lekich is another book that's not actually a Christmas story, but goes right along with the themes of this season. It deals with themes of redemption and second chances, without coming across as overly didactic or preachy. Henry Holloway is a thief. In fact, he’s a really good thief. Even though he promised his mother before she died that he wouldn’t ever steal. Even though his uncle, who thought he’d never get caught, is currently in jail. Even though he feels guilty every time he takes something. But Henry is hungry. And it’s not easy for a kid to take care of himself when he’s living on his own. So Henry compromises with his conscience. He tries not to take too much from any one person, he only takes food and the pocket change he finds lying around, and he tries not to ever steal anything that might have sentimental value for the owner. He’s not in the habit of stealing people’s memories, after all. But when he gets caught and sentenced to a juvenile rehabilitation program in the sleepy, little town of Snowflake Falls, Henry has a chance for a new start. A rare Young Adult contemporary novel for boys, this book will appeal to the young men who aren’t looking for a sappy romantic comedy, but who might want a book that isn’t science fiction or fantasy. First, gather your ingredients: 1 large (6lb 9oz) can of pear halves, 1-2 lb. frozen sliced strawberries (no sugar added!) and 1 white cake mix (or cut the sugar by substituting 2 c. whole wheat biscuit mix instead - you can use this recipe to make your own). I used my 7-quart crock pot for this recipe. Pour pears into the bottom of your crock pot. Add frozen, sliced strawberries (do not thaw first, or you'll wind up with a mushy mess). Pour cake mix into reserved pear liquid and mix together. With about 4 c. of liquid, you'll wind up with a pudding-like consistency for your cobbler, with a thin "crust" of cake on top. If you prefer to have a thicker cake layer and more distinct separation between the fruit filling and the cake top, cut the liquid in half (2c.) BEFORE adding the cake mix! Pour the cake mixture over the top of the fruit. and cook on low for 6-8 hours or overnight. Or, my personal favorite, a dollop of plain, nonfat Greek yogurt. 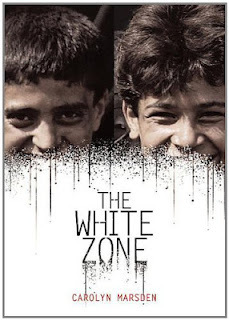 I truly enjoyed THE WHITE ZONE by Carolyn Marsden. This story of finding ways to put aside differences and love each other in spite of them is a perfect read for the holiday season. While it's not actually a "Christmas story," I would totally recommend this one for holiday reading to put you in the spirit of peace on earth and good will toward men! For Nouri and his cousin Talib, bombs, tanks and fighting are a way of life. In their Baghdad neighborhood, war is everywhere. But the Americans aren’t their only enemies. Fighting between the Sunnis and the Shiites becomes ever more prevalent as tensions continue to rise. The lines have been drawn, and they cannot be erased. Nouri is a Shiite, but Talib is half Sunni. 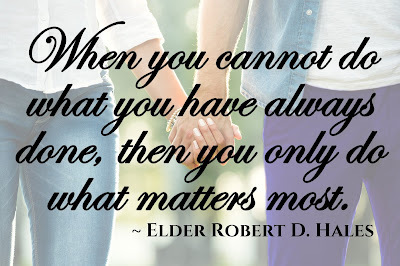 Both are fiercely loyal to their beliefs, yet they hold to loyalties within their family as well. As tensions rise between the factions, war threatens to tear their family apart. But when snow falls on Baghdad in early 2008, for a moment, fighting ceases and the two cousins dare to imagine a world without war. Against this backdrop, Marsden paints a picture of real people who struggle to define themselves in opposition to each other. As the story unfolds in alternating viewpoints, we see the fallacy behind the divisions we create in society. As Nouri and Talib discover that the enemies they are supposed to hate include family members they’ve always loved, the lines that divide them no longer make sense, and we begin to see the humanity on both sides of the conflict. This book is a powerful reminder that, even in times of war, “the enemy” is no less human than we are. 1. NaNoWriMo (write a 50,000-word novel entirely within the month of November): I did it!! Well, at least, I wrote more than 50,000 words in November. In fact, if you count the blog posts, the fun, little short story / picture book draft and everything, I wrote WAY more than 50,000 words in November. But for my goal, I'm only counting the words I wrote for my actual NaNoWriMo project - a YA novel that I'm really excited about. And even if you only count those words, I still wrote more than 50,000 words within the month of November. In fact, I wrote 50,250 words between November 1st and the evening of November 30th. So I won!!! 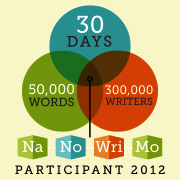 But according to the official NaNoWriMo website, I lost. As you know, I write my rough drafts by hand. Now, there's no way I'm ever going to sit and count up my written words to get a word count on the handwritten pages... and NaNoWriMo doesn't let you declare yourself a winner unless you paste your document into the word count verifier anyway... So in order to get the official word count on the pages I write, I have to type it all up. And it took me until twenty-two minutes after midnight to finish typing the pages I wrote on Friday. So my official NaNoWriMo word count says that I'm 461 words shy of the 50,000 word goal. I could be kicking myself for not typing faster or for any number of distractions that kept me from getting those last few pages typed up on time, but if I had it all to do over again, I would still choose to "lose" NaNoWriMo. Because instead of frantically typing on Friday night, my family and I took a plate of cookies to a friend who was having a really rough day and needed a reminder that she's awesome. And then I watched a movie with my kids for our regular family movie night. And by the time I got to start typing the pages at 10:30pm, my fingers weren't fast enough. The trade was worth it to me. 2. 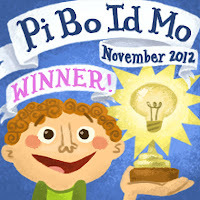 PiBoIdMo (Come up with 30 picture book ideas in 30 days): I won! By November 30th, I had not only 30 picture book ideas, but I've already written a (very) rough draft for one of them... AND I managed to come up with 2 1/2 new ideas for YA novels as well!! Unfortunately, I don't think this win actually "counts" either, because in order to be eligible for the prizes associated with the challenge, you had to comment on the registration post, declaring your intention to participate. And I was certain that I had done so. Positive, in fact. But I just scrolled through the list of comments on that registration post, and I don't see my comment anywhere. Still, I wouldn't change a thing. I'm glad I participated in this challenge again this year. Actually, it wasn't even until I clicked on the post to declare my "win" that I even realized that there were prizes associated with the challenge. So I still got more than what I signed up for (or forgot to actually sign up for) - a notebook full of ideas for future manuscripts!! And that's worth it to me! Update: I realized this morning that I had been searching the wrong post to verify my registration for PiBoIdMo. Turns out, I did sign up like I thought I did. So I'm not crazy. And this win totally counts! 3. Finish revising at least one of my two middle grade novels: I gave myself permission to move this goal to the new year. January will be a good month for revising and polishing, because December will be for finishing (my NaNoWriMo novel may be 50,000 words, but it isn't yet complete) and recuperating. So this goal was all but forgotten in the chaos that filled my November. And usually, I'd be kicking myself over the fact that I didn't even attempt to work on it. (I didn't even OPEN either of the middle grade documents for the entire month of November!) But once again, if I'm being honest (and I wouldn't lie to you!! ), I have to admit that, if I could go back and do it all over again, I wouldn't change a thing here either. Because as much as I like these middle grade manuscripts, I couldn't work myself up to excitement over either of them this past month, and I've learned from experience that when I try to work on the project that I don't want to work on, I generally end up making it worse, not better. But don't worry, I'm not casting these projects aside. I will be coming back to them soon! 4. 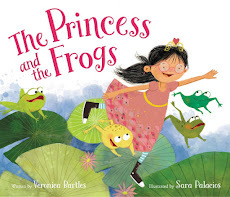 Keep moving forward with querying my finished projects: I've entered my YA novel, KISSING FROGS into Pitch Wars, and I won't hear the results of the contest until December 12th, but I've decided to be optimistically delusional about my chances. And you know, the power of positive thinking is really working. I've decided it's best not to send out any more queries until I find out the results of this contest 10 days from now, because if I get picked by one of the awesome mentors and she suggests changes that make my amazing story into something phenomenal, I would want that version to be the one I send out. - And if I don't get to be one of the lucky ones in this contest, I've learned valuable "what to do when I'm waiting to hear back" skills in the process, so I'm still calling myself a winner. 5. Check in weekly with updates: Although I didn't manage to check in weekly, I did update my status on these goals fairly regularly, so (after this post) I'm checking this goal off as complete as well. 7. Participate in the Spectral read-along: Finished! 8. 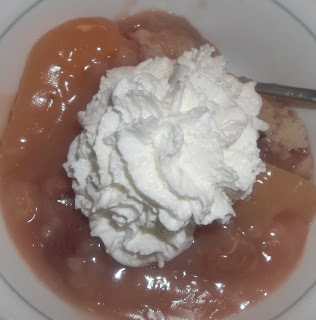 Weekly Crock Pot Gourmet blog posts: My fourth recipe post was a little bit late this week. Instead of posting on Thursday, as originally planned, it didn't go live until today. Because on Thursday (and Friday), I didn't want to break from writing my NaNoWriMo manuscript to post the recipe. And on Saturday, I gave myself a mental health day, so that I could finish the week with goal #6 in the plus column. But I've had good response to the recipes so far, and so I think I'll continue this blog feature for now. November was crazy, and I wouldn't want to do this to myself every month, but even if I had it all to do over again, I think I would. Because I learned a lot about myself in attempting to complete these challenges. I discovered that I really write better when I'm not stressing and focusing on the elusive publishing contract that might be out there waiting for me. 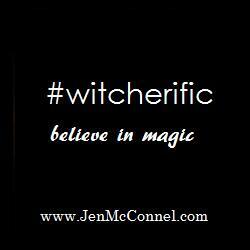 When I write the stories I want to write and focus on the ideas that excite me, not only is writing a pleasure, but my writing is oodles better than when I try to write for what's popular. If (when) I find the right agent to represent me... If (when) I find a publisher that wants to buy my book, it's much more likely to happen because I've been writing the stories that excite me. Because those are the stories that I can make come alive. I discovered that my friends and family will cheer me on when I attempt crazy goals... and they'll pick me up and dust me off every time I stumble and fall on my way to the finish line. I'm not alone in my struggles, and I don't have to carry all of the weight on my own shoulders. And I discovered that as good as it feels to check off long lists of items from my to do list, sometimes, the best choice is to throw the to do list away and spend a day with the people I love! I'm sorry for the delay in posting this week. I was busily working on "finishing" my NaNoWriMo project (50,000 words in 30 days), and I got distracted (I made it, though not "officially" - I wrote 50,000 words by hand, in my story notebook, but by the time I got them all typed up, it was a few minutes after midnight on December 1st, so it didn't count, according to the NaNoWriMo website). But you aren't here for tales of my writing life, you're here for delicious, melt-in-your-mouth recipes. So without further ado, I present to you one of the favorites in our home: Monte Cristo sandwiches! A Monte Cristo is kind of like a club sandwich (ham, turkey and Swiss), dipped in an egg and milk mixture, fried like French toast, and then served with raspberry jam and a sprinkling of powdered sugar. It's absolutely delicious... and a pain to put them together for an entire family. As you know, this, as far as I'm concerned, the perfect time to break out the crock pot and put together a dish that gives similar flavor/texture with minimal effort from me. So of course, that's what I did. Start by gathering your ingredients: 6 eggs, 1-2 loaves bread (I like a nice, hearty whole wheat bread, because it stands up better in this application) 1lb. each: turkey, ham & Swiss cheese - all thinly sliced, raspberry jam, 1c. powdered milk, water, cooking spray & I used my 5quart Crock Pot for this, although you could easily use a 6 or 7 quart Crock Pot with the same recipe quantities. Spread jam liberally on each piece of bread (about 1/2 to 1 Tbsp per slice, depending on your personal preference). - You can skip this step, if you'd like and simply serve the finished "sandwiches" with a large dollop of raspberry jam, but I've discovered that adding the jam into the preparation process reduces the prep and mess when it comes to serving. And with kids, this is critical. Add another layer of bread and jam. On this, and ALL subsequent layers, make sure the bread is jam side DOWN! Slowly pour the mixture over the casserole, allowing it time to sink in to all layers. Press down on the top layer slightly, to make sure all of the bread is covered in milk/egg mixture. Cook on low heat for 6 to 8 hours, until knife inserted in the center comes out clean.